Infinity Ward wants to "keep it mysterious"
Activision is remaining quiet on the Call of Duty: Ghosts front for the Wii U. In April, retailers leaked a supposed new Call of Duty title, and had listed several platforms including the Wii U. The company officially announced the game last month, but didn't have any news on a release for the Wii U, as it would announce next generation information at a later stage. 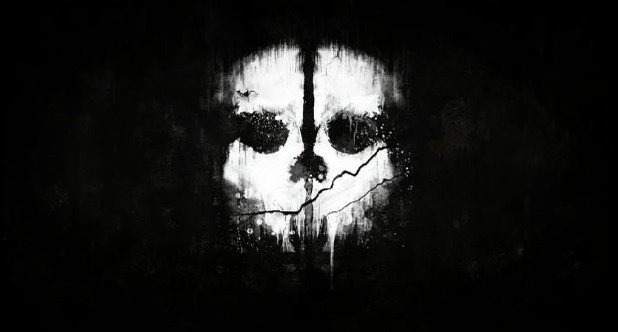 During a stage show on GameSpot yesterday, Infinity Ward executive producer Mark Rubin confirmed that there is indeed a Wii U version of Call of Duty: Ghosts, but PR wanted to "keep it mysterious". That’s probably in the next-gen bin, but we’re not actually talking about Wii U yet. ‘Cause we want to keep it mysterious. It was said that the game will launch on the console alongside next-gen versions of the game for Xbox One and PS4. What are your thoughts on this news? Will you be rushing out to pick up the newly announced installment of the globally popular shooter? Let us know, as always. I think Sony and M$ pay for their advertising or something. This happens every year with CoD and Wii. Good news that another 3rd party major game is coming. Whether or not I'd buy it I don't know. The missis got pretty upset when she saw me blasting young-ish looking africans in BLOPS2 - Might have to stick to missis and kid friendly mario kart. I think I'm going to pass on CoD this year.. Nothing is different except they added dogs? I got maybe 2 weeks of play out of blops2 before the gameplay started to get stale. I think its great news. Not got a Wii U, but this is another incentive for me. I haven't played a CoD games since World at War, but I might be convinced to pick this up. Would be at the bottom of the to-buy list though. We'll get Call of Duty Ghosts Underdog Edition, where we'll play all the campaign as the dog and have an exclusive Zombie Kittens multiplayer mode!!!!! Yes, I too have to play CoD (and ZombiU) when my wife, daughters and sister-in-law are away or at the very least soundly asleep. Just another reason the Wii U will dominate this winter! Yep, sure will, gonna be a great Xmas holiday! ‘Cause we want to keep it mysterious.' - Whats so mysterious about an under supported COD game which will play second fiddle to the other next gen consoles. No mystery in this as i think everyone will know it will probably be missing content and lack any DLC support - just like it predecessors. Well, CoD is always good third party support, even if you dont like the games. I'll most likely skip like always. Mysterious is code for "we wanted to see what the other consoles will be doing and consumer reaction before making a decision. Oh, MS is overcharging and alienating gamers? And it looks like Nintendo's Wii U sales will pick up? Then, yes, CoD will be on Wii U." I'll be getting this although I'm piss poor at black ops 2 it is fun online. CoD is only good for its multiplayer. Dont think the Multiplayer will be enough of an improvement over Black Ops 2 to warrant a buy. CoD sells and the Wii U needs these type of games. @Gnoll now that's funny lol! I wouldn't be surprised if Sony and MS outright paid Activision to not reveal CoD;Ghosts properly for Wii U but then again I'd also expect Nintendo to think it was worth keeping a secret. Hopefully this late reveal means that a second Nintendo direct will bring some real surprises. Have Rockstar had their presentation yet? Glad to see it coming due to its popularity, but there are many more 3rd party games I would prefer to be coming than this dreck. This is good news! I skipped out on BLOPS2, so I may get this one. Nintendo needs all the third party love it can get, and it CoD is one of the bigger system movers. I could totally see it selling units this holiday, as getting it along with a Wii U would be a much cheaper option than the other two. Nintendo should do something crazy like offer a Ghosts bundle. I see two faces in the pic. I hate Activision already for having their Black Ops II Wii U box have "Add On Content" on it,and not responding to us Nintendo fans wanting DLC. This is good news however you spin it. COD is a HUGE franchise. I may or may not get it. I'm content w/ BLOPS II. They need to take advantage of the Wii U's graphical capabilities and use the game pad in inovative ways. Also DLC is a must this time. I don't wanna see a port of a 360 game on Wii U with a few features missing. Maybe, I got B!ack ops 2 and only have about an hour of playtime though. Yeah, I'm going to buy it to show them support and all other third parties. I want an immersion mode, where you use the gamepad as a 360 degrees aiming device for the entire game. I am not a big fan of gritty first person shooters but if I were CoD is the current king of the hill, the game everyone is desperate to clone. I'll likely buy this since I haven't played a gritty fps in a few years. I will buy this game. Hope it's in 1080P 60 frames like in xbox one and ps4, even if that means that they disable gamepad. blops2 was kind of a let down compared to blops1 and mw3. hopefully the reviews for gameplay are good then i might get it for wiiu. skipping out on ps. I won't be getting the Wii U version. I'm in to Call of Duty for the online multiplayer. I purchased Black Ops 2 for Wii U around launch and have been playing it up to these past few weeks. I'm tired of missing out on stuff like Call of Duty Elite and DLC maps. Poor Nintendo, they still don't get the respect they deserve. Call of Duty was never my thing, but I'm glad Wii U isn't being ignored by these guys. Despite my opinions, it /is/ one of the biggest franchises in gaming today. This situation reminds me of that adventure time episode. Where Finn told Bubblegum that he has a plan but he doesent tell her the whole thing because Finn was trying to be mysterious. That cash cow'll continue being the thing to get if i have the money. Finally there are some good news about 3rd party games! Finally get sth to play. I love CoD! Hope this one has dlc, maps or is this half again....????? Buying this one! I promise! So....the xbone is nex gen because its...a tv box? And the wiiu isn't because it plays games unconditionally? @AgenTxH I'm still getting a ps4 for killzone. Regardless. Instead of this what I would really like to see is a balls out Metroid game with awesome online MP like a Halo or something. Nintendo would have their killer MP online game under there roof!